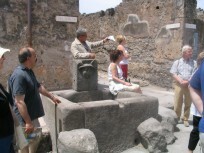 Pick-up at the requested place and transfer to Pompeii to explore one of the most fascinating places of Naples environs under the narration by a professional guide. 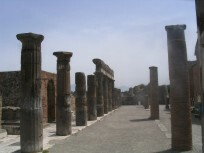 In roman time Pompei was a rich and populated town, full of private and public buildings. 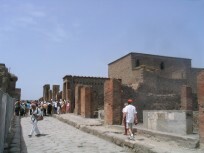 On a summer's day in 79 A.D, the entire town and around 20.000 of its inhabitants were buried under tons of ash and pumice because of a violent explosion of Mt Vesuvius. A shower of very fine ash was deposited everywhere to a depth of more than six meters, enveloping everything and adhering to the forms of the bodies and of their clothes. Almost 2.000 years later, you have the opportunity to discover the everyday life of the Imperial Age and imagine the panic of the people before the city was so disastrously buried. 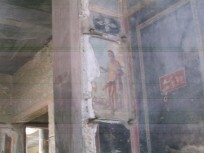 In two walking tour, your guide will show you fascinating places such as The Forum, Thermal Baths, Lupanare and Vetti's House with it's beautiful frescos. After the visit brief stop for lunch and departure toward Sorrento coast. It will be possible to admire during the way the suggestive medieval Castle from which the name of the famous town Castellammare di Stabia comes, the small and enchanting beaches of Vico Equense and Seiano and the typical mediterranean vegetation full of lemon and orange trees. 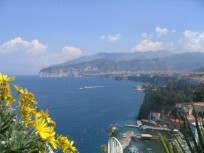 Stop at the panoramic viewpoint in Meta di Sorrento to look up to the wonderful sight of the bay overlooking the sea. 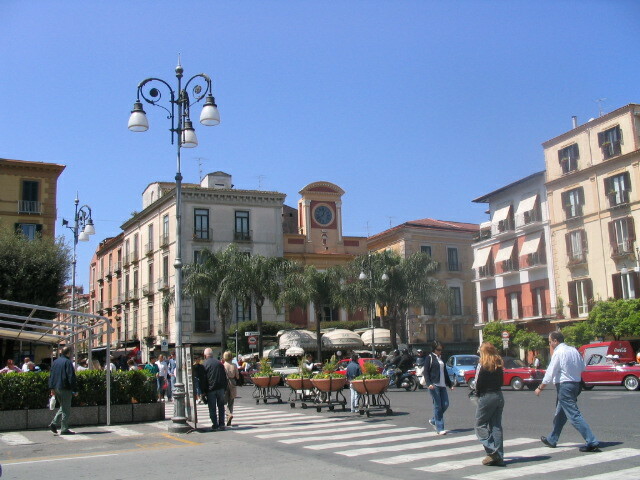 Stop in Sorrento for a brief visit of the town (about one hour). 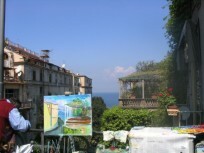 The guide will show you the most renowned places walking throught the suggestives narrow streets full of stores and little workshops, as far as one of the most scenic place of Sorrento: the so-called Villa Comunale from where is possible to admire the beauties of the golf as far as Punta Campanella and Capri Island and immortalize the breathtaking scenary. 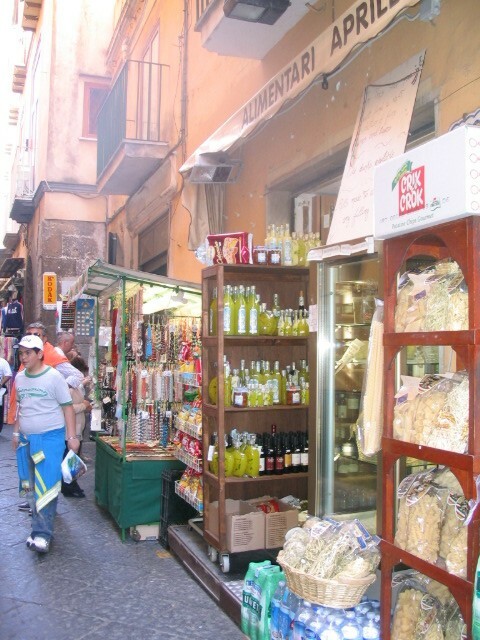 Return to Naples at around 5.00 pm.